Pune has always been an interesting place for investors. The real-estate industry in Pune has received a boost, with the development of a number of projects in the last few years. Especially, property in Lulla Nagar is in great demand, following the tremendous growth of infrastructure. From roads to street lights and security facilities, every element ensuring seamless living facilities has been ramped up. Leading developers are also coming up with elegant apartments for the residents. Evidently, the prices of properties in Lulla Nagar are increasing over the years. Fast transportation and proximity to the commercial areas are important factors leading to the popularity of the flats in Lulla Nagar. The area has a well-knit network of roadway and railways. People craving for sophisticated living amenities, along with classy interiors, can have a look at the upcoming projects. The apartments have been tailored to match the needs of both high-end and mid-range buyers. 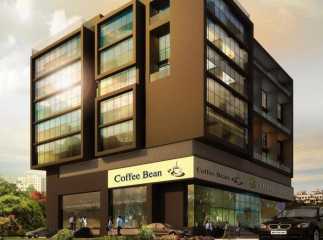 Besides, Pune has always been a commercial hotspot of the country. You can buy 2/3/4 BHHK apartments in Lulla Nagar, in Pune, according to your budget and other specifications. People aspiring for green living will also find their ideal home in Lulla Nagar. Important roads that connect the area to the other regions include the Pune Solapur Highway. You will also have an easy access to a number of schools and hospitals in the region. Important educational institutes in Pune include the M.I.T. Gurukul College, besides a number of private schools for your children. You can easily take the roadway to the Pune airport for international flights. Besides apartments, you may also be interested in villas in Lulla Nagar. Whether you invest in the property for commercial purpose or personal use, this is the best time for you. With a steady commercial circuit, the city offers tremendous employment opportunities to the people. Pune is an important IT hub of the country. A number of blue-chip companies are investing in the area. The projects in Lulla Nagar ensure classy living facilities to the residents. You can enjoy the mornings in the swimming pools, or the gyms. Fitness enthusiasts will find a good time in the jogging tracks or cycling tracks in the complexes. Besides, the residential complexes come with tennis courts, that enable the sports lovers to enjoy their time. The properties in Lulla Nagar have other reasons of attraction too. The residential areas are covered with green areas, ensuring optimum, air-flow in the apartments. Large windows and wide balconies allow enough natural light to flow into the interiors. The residential complexes also come with banquets, clubs and shopping areas. When you buy a property in Lulla Nagar Pune, you will get access to the refined social infrastructure of the area. For investors and homeowners, this is the right time to invest in the plots in Lulla Nagar. The developers are offering easy payment schemes and you can book an apartment for yourself now. Lulla Nagar looks to be a promising hub for investors. You can enjoy luxurious living spaces, amid the greenery to mesmerise your eyes.